Deep in blackest space, the Drasin have watched humanity’s journey to the stars—and determined that a species as barbaric as ours has no place in the cosmos. The wreckage of the starship Odyssey, once Earth’s greatest guardian, lies strewn across New York City. Abandoned by all but its captain, Odyssey’s sacrifice covered the withdrawal of countless troops as the Drasin assault ravaged the planet. When Captain Eric Weston finally emerges from the rubble, impossibly alive thanks to the mysterious “Gaia,” he knows with the Drasin it’s kill or be killed. But not all of the heavens have proven hostile. The Priminae have felt the full brunt of Drasin aggression on their own home world, and they won’t leave humanity to face annihilation alone. Together with what’s left of the crews of the Odyssey and other starships, they race to join Weston and his group of Earth-bound survivors for a desperate last stand. 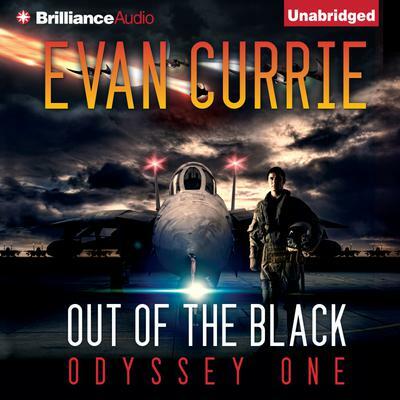 The final battle of the Drasin War brings bestselling author Evan Currie’s Odyssey One series to its shattering conclusion.